A combined value of US$91.9 billion in mergers and acquisitions (M&A) was announced in Q3 of 2018. This was an increase of 21% from the US$75.9 billion in M&A deals announced in the previous quarter. 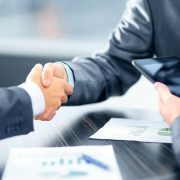 The number of M&A deals decreased by 20% from 102 in 2Q18 to 82 in Q3 of 2018, according to GlobalData, a leading data and analytics company. The company’s latest report: ‘Quarterly Midstream Capital Raising Review – Q3 2018’ states that, of the total M&A deals, 58 deals, with a combined value of US$83.6 billion, were domestic acquisitions and the remaining 24, with a combined value of US$8.2 billion, were cross-border transactions. A quarter-on-quarter comparison shows a 12% decrease in cross-border transaction values in 3Q18, compared to US$9.3 billion in 2Q18. However, domestic transaction values increased by 26% in 3Q18 compared to US$66.5 billion in 2Q18. Energy Transfer Equity’s (ETE) agreement to acquire the remaining stake in Energy Transfer Partners (ETP) for a purchase consideration of approximately US$60.4 billion was the top deal registered in 3Q18. Another landmark deal that was recorded in 3Q18 was Enbridge’s agreement to acquire all of the outstanding public Class A common units of Enbridge Energy Partners, all of the public outstanding shares of Enbridge Energy Management, and all of the issued and outstanding shares of Enbridge Income Fund Holdings, for a purchase consideration of US$7.1 billion. Americas remained the frontrunner for M&A registering 33 deals, with a total value of US$82.1 billion in 3Q18. Cross-border activity in the region decreased from 9 in 2Q18 to 6 in 3Q18, while domestic acquisitions decreased by 43% from 47 deals in 2Q18 to 27 in 3Q18. Europe, Middle East, and Africa accounted for 37% share in 3Q18, comprising 31 acquisitions, of which 10 were cross-border and the remaining 21 were domestic acquisitions. The Asia-Pacific region accounted for 20 global deals, or 24% in 3Q18, of which 10 were cross-border acquisitions and the remaining 10 were domestic acquisitions. The Saqui Law Group PC, which often presents continuing education seminars for Sonoma County Winegrowers, joined Dowling Aaron Incorporated in the of-counsel role. The Saqui Law Group was established in 2007 to represent California growers, packers and shippers with their labor needs. Dowling Aaron has represented clients in agribusiness and agricultural litigation including farmers, growers, packers, shippers, dairies, wineries, cooperatives, investors, lenders, processors, insurance providers and others involved in the food production industry. A full merger of the two firms is set for 2019. Dowling Aaron will maintain offices in Fresno, Bakersfield, Visalia, Salinas and Sacramento. 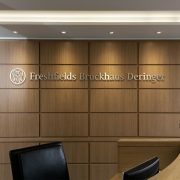 UK law firms have returned to dominance in the Q1 M&A tables after playing second fiddle to the US elite last year, with Freshfields Bruckhaus Deringer rising up the rankings following a busy quarter for the firm. Figures from Mergermarket show Freshfields topped the European deal value ranking for the first quarter of the year, after acting on 37 deals worth a total of $121bn (£86bn). While last year the Q1 European M&A rankings were dominated by US firms, this year the top five spots were taken by four magic circle firms and Herbert Smith Freehills (HSF). Freshfields’ strong showing also saw the firm rise to second in the global M&A rankings, up from ninth last year, after acting on 45 global deals worth a total of $141bn (£100bn). Skadden topped the global and US deal value tables for Q1, after advising on 47 global deals worth a total of $194bn (£137bn) and 39 US deals worth $170bn (£121bn). Slaughter and May came top for UK M&A by value, having acted on 12 deals worth a total of $37bn (£26bn), with Herbert Smith Freehills (HSF) second and Clifford Chance (CC) third. Meanwhile, DLA Piper took the top spot for European deal volumes, acting on 50 deals worth a total of $52bn (£37bn). Kirkland & Ellis took first place for global deal count, acting on 112 deals worth $67bn (£47.5bn) during the quarter, with CMS top for UK volumes with roles on 21 deals. Total global deal value increased by 18% on Q1 last year to $891bn (£632bn), although global deal volume dropped 19% to 3,774, the lowest quarterly figure since Q3 2013. Deal count in Europe also fell by 22% year on year to 1,409, the least active quarter since Q1 2013. Despite the fall in deal numbers, total deal value across the continent rose to $256bn (£182bn), a 22% increase on last year’s Q1 total of $211bn (£148bn). 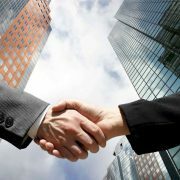 The same trend was seen in the UK, with a fall in the total number of deals coming against an increase in deal value. UK deal numbers for Q1 fell 31% year on year from 386 to 266, alongside a 41% increase in total deal value across the same period to $59bn (£42bn), up from $42bn (£20bn). HSF M&A partner Caroline Rae said: “Several of the issues we faced in Q1 2017, including Brexit, remain unresolved, but many UK corporates now have the confidence to plough on and execute their M&A strategies despite the ongoing uncertainty. The rankings are notable for the resurgence of UK firms in the top 10 European advisers by value, with six making the top 10. Freshfields, Linklaters, CC, A&O and HSF ranked first to fifth respectively, with DLA Piper in eighth. For 2017, the Q1 rankings saw just three UK firms make the top 10 European and UK advisers by value. The largest UK deal of the quarter was GlaxoSmithKline’s $13bn (£9bn) purchase of a 36.5% stake in its consumer health joint venture with pharma giant Novartis. Freshfields advised Novartis while Slaughters represented GSK. 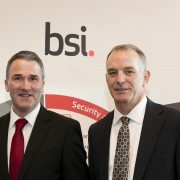 Slaughters also won a role on the second largest UK deal, representing FTSE 100 engineering business GKN on its bitterly contested takeover by Melrose. Its initial £7bn bid was rejected, but Melrose won support of more than half of GKN’s investors and its subsequent $12.1bn (£8.6bn) bid was accepted last week (29 March). Meanwhile, the biggest European deal this quarter was E.ON’s €46.6bn (£33bn) deal to acquire a controlling stake in renewable energy business Innogy from German rival RWE. That deal handed key roles to Freshfields for RWE, Linklaters for E.ON and Hengler Mueller for Innogy. Going forward, partners believe activity levels will continue to hold up, despite Brexit looming on the horizon. US telecoms giant T-Mobile has agreed to buy its rival Sprint in a $26bn (£18.9bn) deal. The merger of America’s third and fourth largest mobile carriers is designed to create a more competitive firm with about 130 million customers. However, the deal is expected to attract regulatory scrutiny over its potential impact on customer prices. 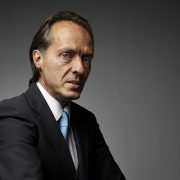 T-Mobile boss John Legere said the new firm would spend $40bn on building a 5G mobile network in the next three years. It comes after months of negotiations between T-Mobile’s controlling shareholder, Deutsche Telekom, and Japan’s SoftBank, which controls Sprint. Under the deal, Deutsche Telekom will own 42% of the combined company and control its board. Softbank will hold a 27% stake. Analysts say the combined company would have more clout to compete with the first and second biggest US telecoms firms, Verizon and AT&T, each of which have more than 100 million subscribers. In particular, they say it would be better positioned for America’s looming shift to next generation 5G mobile broadband technology. They also believe that, without T-Mobile, Sprint lacks the scale needed to upgrade its network. Sprint and T-Mobile had been in talks about a potential tie-up since 2014, when the Obama administration scuppered a previous merger attempt over competition concerns. Under the Trump administration, regulators have continued to challenge deals they believe could push up prices and are likely to scrutinise this latest takeover closely. The US Justice Department is currently trying to block AT&T’s deal to buy US media giant Time Warner for $85bn, warning that “consumers all across America will be worse off” if it goes ahead. It has also allegedly opened a probe into claims of co-ordination by AT&T, Verizon and a telecoms standards body to hinder consumers from easily switching provider, Reuters reported earlier in April. In a statement, Mr Legere said the merger between Sprint and T-Mobile would lower prices and help the US accelerate its development of 5G, amid fierce competition from China. 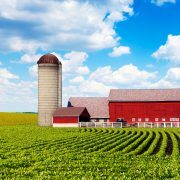 He also said it would create tens of thousands of jobs in rural America – factors analysts say could help sway officials in the Trump administration. “This combination will create a fierce competitor with the network scale to deliver more for consumers and businesses in the form of lower prices, more innovation, and a second-to-none network experience – and do it all so much faster than either company could on its own,” Mr Legere said.